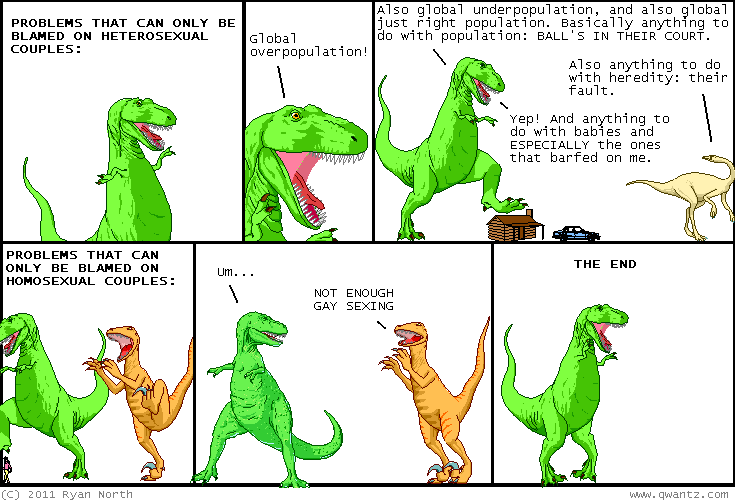 Dinosaur Comics - March 29th, 2011 - awesome fun times! 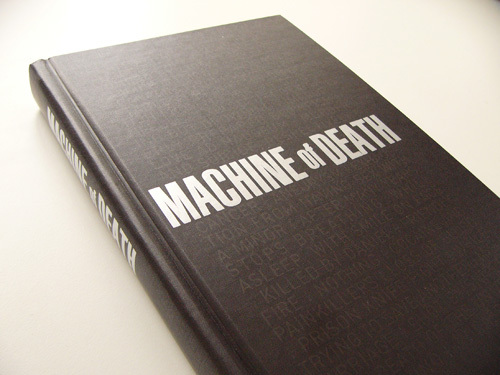 Machine of Death, the basically-awesome book based on this comic that Matt, David and I put together has been doing really well, and we wanted to make some awesome things to go with it. So we did! 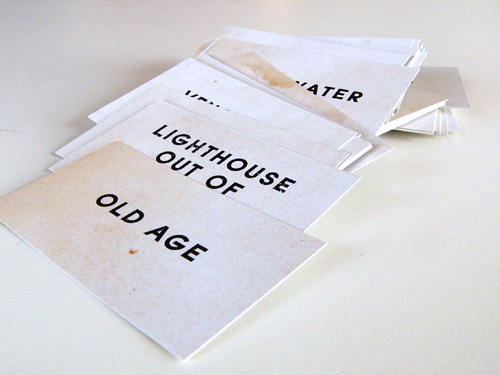 In a case of ideas bleeding into reality, there's now actual death-prediction cards that you can get! Free with any order from TopatoCo, which basically means free if you order anything from tons of awesome webcomics. If you don't want to order, we'll also trade you one if you send us a self-addressed stamped envelope with something neat inside! 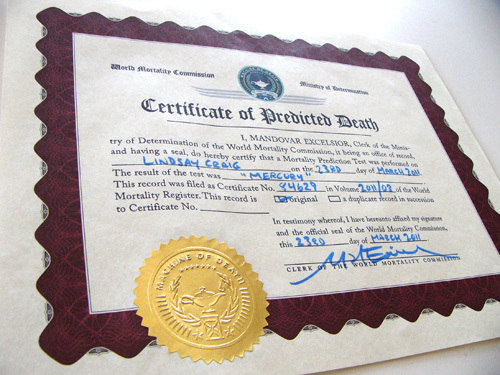 In a case of taking something and making it Ultimately Classy, there's now a limited-to-300-copies Hardcover Collector's Set of Machine of Death, which comes with a gorgeous hardcover copy (check it out, it's so classy) an official, sealed-by-the-Ministry-of-Determination and ACCURATE Certificate of Predicted Death, and an embroidered iron-on Machine patch. In a case of taking something and puttin' that show on the road, we're holding a talent show on April 26th, and we're looking for auditions. It will be great. 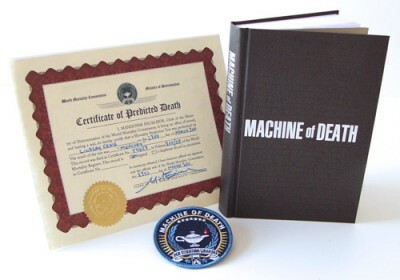 And finally, in a case of taking something and then selling it for less, the eBook version of Machine of Death is now on sale for $5.99, which is almost half-price! So if you haven't read the book, you have now a cheaper (eBook sale!) and also a much more expensive (limited edition collector's set!) way of getting it. WE HAVE YOUR BACK.